What are Molars and Can They be Removed? When you look in the mirror and smile, you see several teeth shining back at you. Each one has a partner on the opposite side of the mouth that’s shaped in a similar manner. You may not have realized it, but you actually have four different types of teeth: incisors (the sharp ones at the front, which are used for cutting into food,) canines or “eye” teeth on either side (for tearing,) premolars/bicuspids which come next (the name meaning their having two cusps on the chewing surface and being before the molars,) and finally, the molars. If you count wisdom teeth, an adult has 12 molars (children only have eight, and they’re replaced by premolars.) When wisdom teeth are removed, an adult has eight molars: two at the back of each side of the mouth, upper and lower respectively. Molars have the largest chewing surface, with several cusps to help grind up food for proper digestion. I Have a Bad Molar – Should it be Taken Out? You rely on your molars for eating, but with several of them you may be wondering if it’s necessary to keep them all – especially if one has a toothache or needs a root canal. Wouldn’t it just be easier to have it pulled? While the immediate solution may seem like a “yes,” the long-term effects of molar loss outside of wisdom tooth removal can have a detrimental effect on your overall smile. Because of this, your dentist will want to do everything possible to help you keep your molar intact for as long as possible, even if that means endodontic therapy or getting a crown. Electing to have a molar removed unnecessarily can lead to other teeth drifting out of alignment throughout your entire mouth. Even the opposing tooth that’s used to biting against your molar may start to erupt out of the gums more, causing a functional and aesthetic concern. The open space in your mouth can cause the bone to start shrinking and your cheeks to look sunk in, giving you an aged appearance. If at all possible, work with your dentist to avoid your molar removal. What if You Do Need a Molar Extraction? Sometimes it’s impossible to repair badly damaged teeth or there is such aggressive gum disease that the tooth needs to be taken out in order to control the infection. When that’s the case, a molar removal is the only option left. Like any extraction, your dentist will work with you to ensure that you’re comfortable throughout the entire procedure. Yes, it’s perfectly fine to have your tooth removed using only local anesthetic to numb the area around it, but this may only be preferable if it’s a simple extraction. 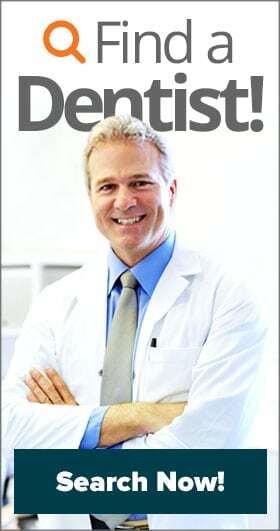 Most dentists will also recommend nitrous oxide (“laughing gas”) as an added analgesic and to ease your nerves. The more comfortable you feel, the more efficiently your dentist can operate. In other cases, dental sedation (such as conscious oral or IV sedation) may be preferred. If a tooth is fractured, has extremely long or curved roots, or is impacted, then sedation may be preferable. You and your dentist should make a plan for replacing the tooth soon after the procedure, or preferably, before you make the appointment to have it taken out. This may include an immediate dental implant placement, fixed bridge, or a removable denture. Each option helps to preserve natural speech patterns, maintain normal chewing capabilities, and reinforce the current alignment of neighboring teeth. Should Children Have Their Molars Taken Out? When a child develops cavities in their primary (baby) set of teeth, it’s easy to assume that the tooth can be taken out instead of having a filling or crown placed on top of it. After all, it’s only a matter of time before it falls out naturally, right? Not necessarily. Primary molars are essential when it comes to space preservation and guidance to the developing teeth underneath. Removing them too early could lead to long term complications with a child’s smile once they get older. It’s best to have your family dentist repair them, or if they must be removed, place a space maintainer to ensure there’s room for the adult teeth to come in properly. Does Your Tooth Need to be Extracted? 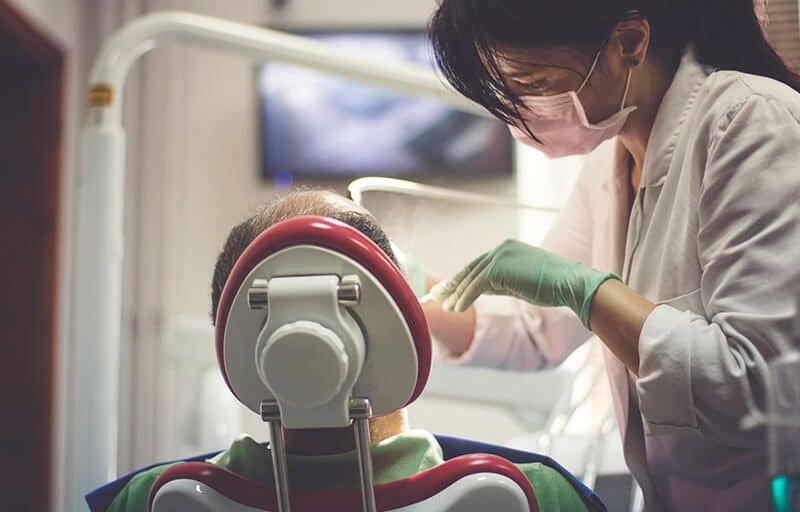 If you’re unsure as to whether you should keep your molar or have it taken out, it never hurts to get a second opinion after speaking with your regular dentist. But if getting care is difficult because you don’t have dental insurance benefits with your employer, you may want to sign up for a dental savings plan instead! 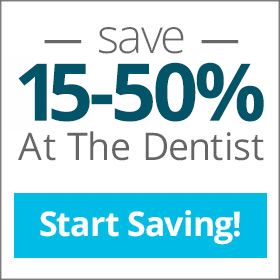 Enrollees can get 15-50% off of basic services like exams, extractions, and more.